A.J. Gevaerd - Editor of Revista UFO Magazine, Founder and Director of the Brazilian Center for Flying Saucer Research (CBPDV), Brazilian Director for Mutual UFO Network (MUFON) and one of the Intl. Directors of the U.S. International UFO Congress. In 1986, A.J. Gevaerd quit his career as a Chemistry teacher to devote full time to research of UFOs. Founder of the Brazil ‘s only UFO Magazine for 19 years, A.J. has been its Editor of one of the long-lasting magazines about UFOlogy in the world. A.J. is also Founder and Director of the Brazilian Center for Flying Saucer Research (CBPDV) one of the largest organization in South America , with over 3,300 members. A.J. has been a field investigator 29 years and for the past 18 years the only UFO researcher in Brazil exclusively devoted full-time to the study of the UFO Phenomenon. Respected as a national and international lecturer, A. J. has spoken in dozens of cities in his country and in other 29 countries around the world. In 1983, he was appointed by Dr. J. Allen Hynek to be the representative of the Center for UFO Studies (CUFOS) in Brazil . A.J Gevaerd is also one of the International Directors of the Annual International UFO Congress. 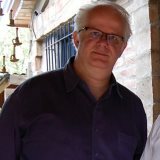 A. J. Gevaerd - recognized as one of the best authorities with over 700 field investigations on Brazilian UFO cases. A.J. Gevaerd is a member of the Advisory Board of the Exopolitics Institute.